After months of donning coats and freezing our hands off walking to class, spring is finally upon us. Outdoor concerts, Spring Fests, cookouts, bar crawls, backyard darties — it’s day drinking season, people. When done right, day drinking requires the mental tenacity of a marathon, not a sprint. In addition to drinking lots of water, it’s important to eat healthy – even while you darty – to make sure that you’re not zonked out by 4 pm. So, I went on a mission to find some helpful meal tips to keep you energized and avoid that post-darty crash. Feel like you can’t part with your morning bacon, egg, and cheese habit but could do without the food baby? 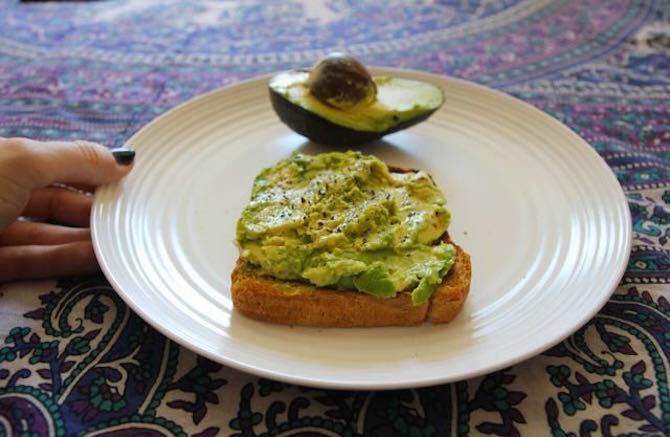 Try pregaming your pregame with avocado on whole grain toast. Avocados have healthy fats and protein that will help you feel fueled throughout the day without making you feel uncomfortable in your crop top. 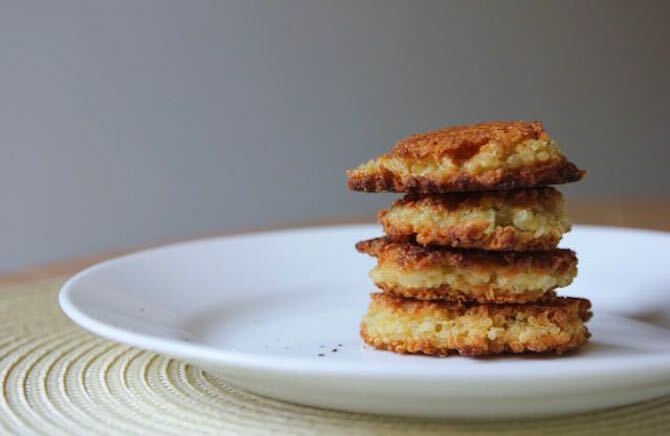 Find the simple recipe here. 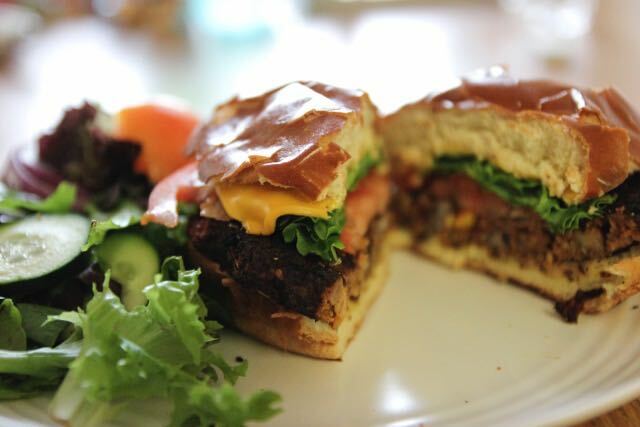 Even if the thought of going vegan makes you cringe, a veggie burger is a low-fat, low-calorie alternative to your go-to day drinking menu item. Loaded with protein, these veggie burgers that you can find at your local grocery store are a nutritious and quick way to keep you fueled for backyard beer pong. Bonus: most of them can be prepared in 1 minute. In order to avoid getting dehydrated, skip the sodium-filled fries and opt for a side salad with your favorite veggies and dressing. Quinoa is a grain packed with awesome things like iron, vitamin B2, zinc and folate. It’s a great option instead of simple starches. Check out some more quinoa creations to squeeze in during your long day of drinking between lunch and dinner. 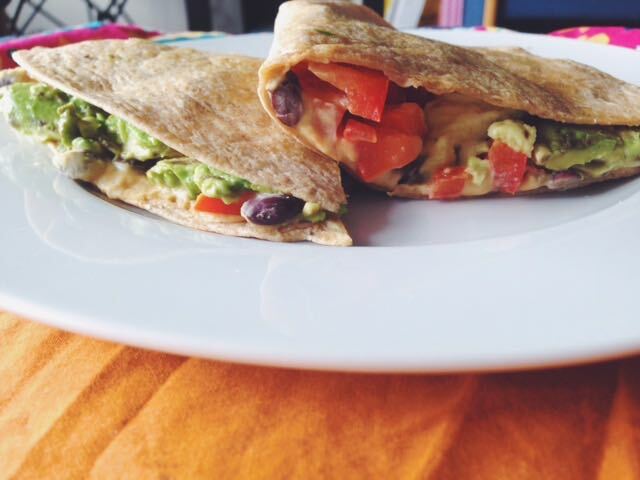 Use hummus, black beans, and whole grain tortillas for a guilt-free quesedila. This recipe will transform your boring go-to dorm food into a healthy, protein-packed dinner that’ll give you the energy to rally for the night out.